Another drawing! I have a backlog of sewing projects to photograph, but time (and the weather) are working against me. I guess I'll just keep making stuff and then bombard you guys with posts once I get around to take pictures! I had the song stuck in my head for a while and came up with the image whilst in the shower (where else). The eventual drawing is barely different from my initial sketch, I only added the striped part of the skirt and made it look like her dress was falling apart in a way. 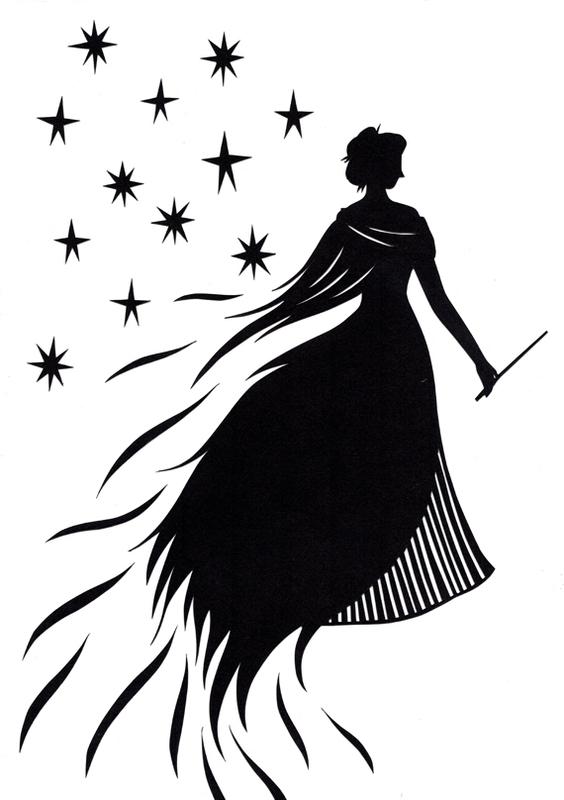 At first I wanted her to be walking on stars but the unravelling seemed more in tune with the song! I made this drawing in my usual way: make a sketch on printer paper and use white carbon paper to transfer it to the back of the black paper, then cut it out. Doing this means that the only lines on the black paper are the final ones, which makes it easier to cut out accurately. I could sketch directly onto the black paper with white pencil, but the lines would get really unclear if I had to redraw some bits. Does that make sense?